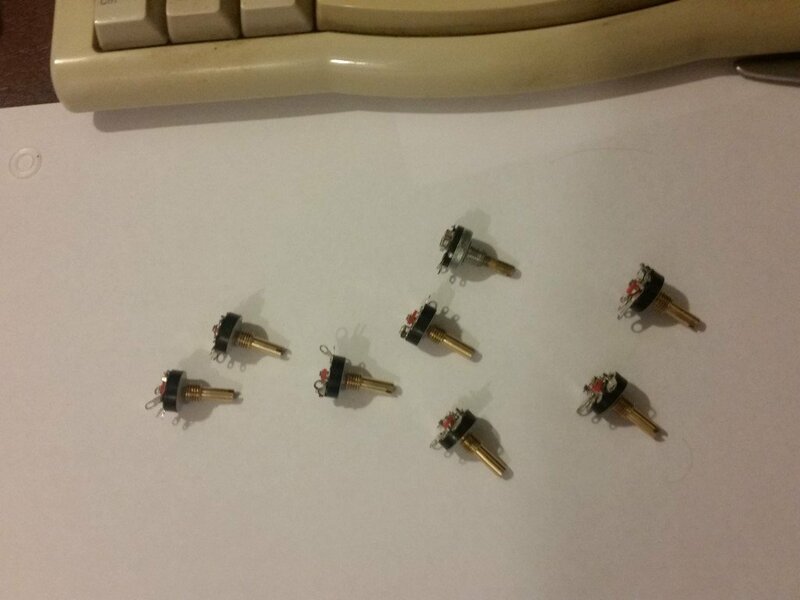 I now have a stock of the Pots/Switches that will allow you to do a direct swap out/changeover. I am offering an almost 100% direct swap out pot. For many reasons, there are some minor differences but it is all about a tad of care when aligning to pot in position... The Switch contacts are slightly off set; MINOR but I have to advise everyone so that they are aware that the switches/pots are not a ML product. Due to so many different selling platforms and that these items have not been available; I am still working on what might be the best platform; such that Excalibur users from around the world can obtain. And I can track buyers and follow up on any feedback. Thus at this stage it may be that I have to use scam bay and build in the charges/fees. I will be looking at trying to offer some sliding discounts and POSTAGE costs. As most of you will be aware, postage within in Australia is bad enough... But once you go international it can get messy and expensive. Pricing for quantities greater than 5 = subject to numbers..